It is time for a new busy activity for the month. 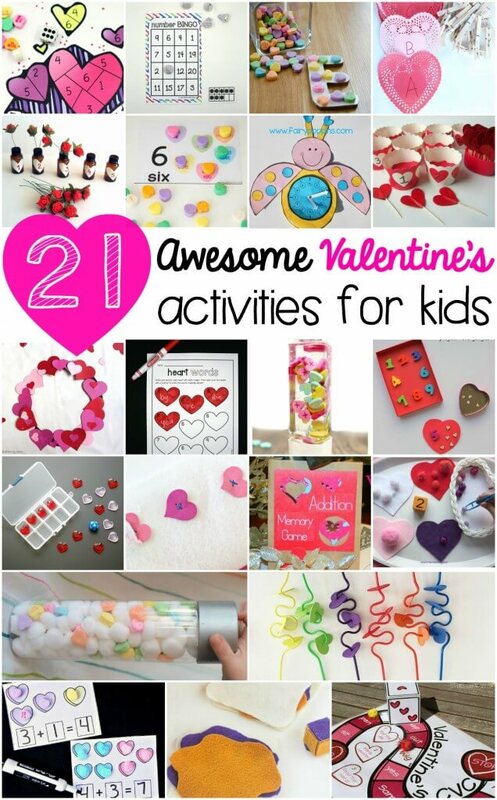 Almost once a month I will be sharing a busy activity for kids. 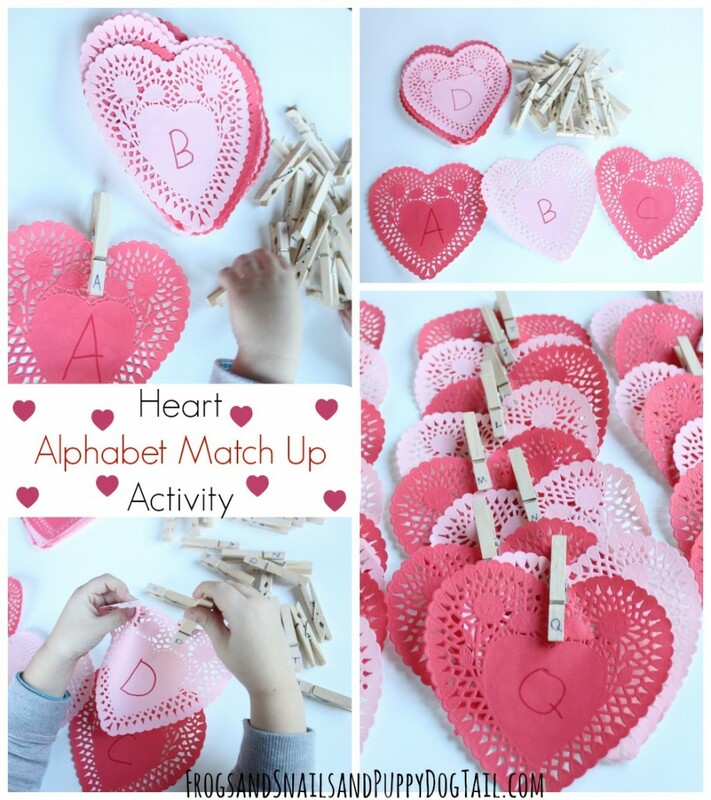 Today I have Heart Alphabet Match Up Activity to share with you. 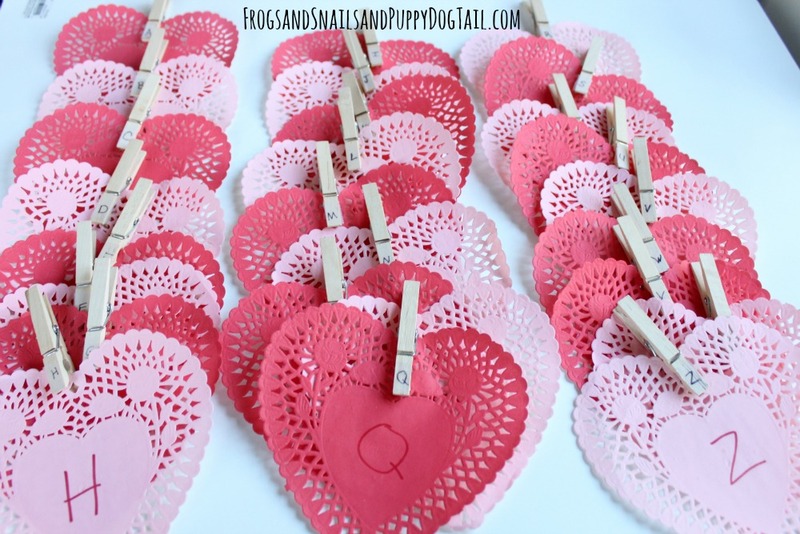 With Valentine’s Day coming up an activity with hearts seemed perfect. This busy activity was cheap and easy to put together. My kids loved matching the letters up. My oldest helped my second child and both older kids helped the youngest match up letters. And I loved that while they matched letters I could get lunch ready. This activity was a hit with all of us. This was so easy to create. 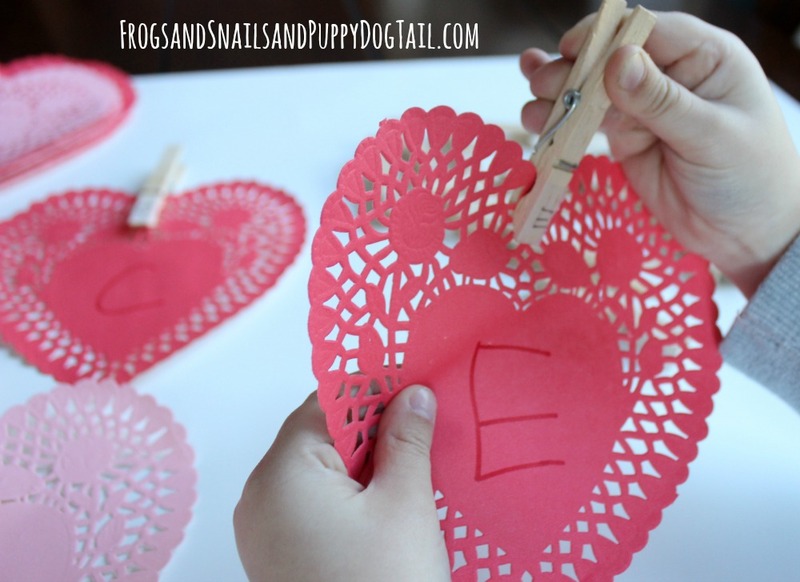 I took heart shaped dollies from the dollar tree and wrote the ABC’s on them to start. 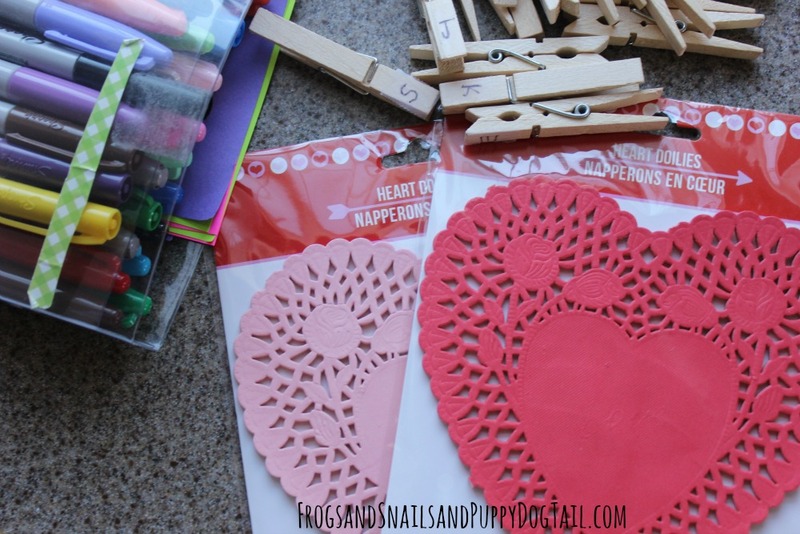 I already had my clips from another DIY letter game we played a long time ago. I had taken clear tape and taped it to the ends of the clothespins. I then wrote the letters of the alphabet on them. So that was it and we were ready to start matching the alphabet. 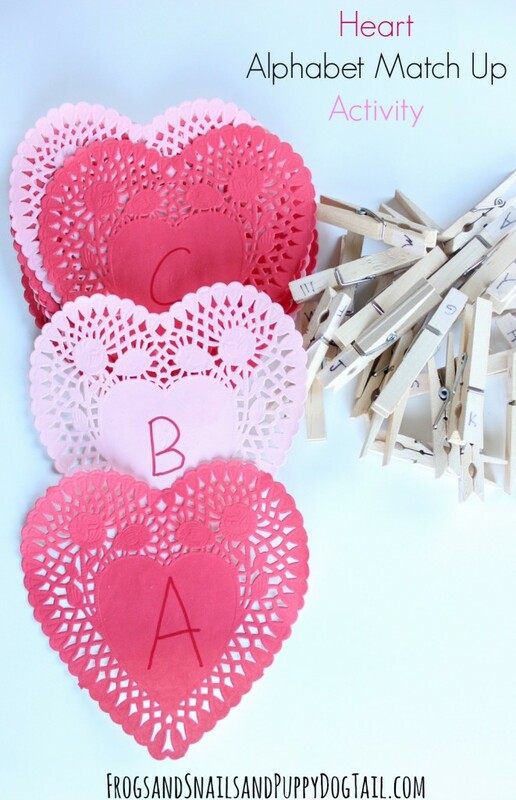 I sat the alphabet hearts out next to the clothespin letters. The kids got really excited when they saw this activity. They all wanted to start matching up the ABC’s. My kids are 7yr, 4yr, and 3yr. This was too easy for my 7yr but he was able to help my 4yr. And both kids could help my 3yr. The clothespins are great for working on fine motors skills all on their own. So they got to work on their tiny hand muscles during this activity too. This was also a good time to go over the shape and color of the doilies with the younger one. 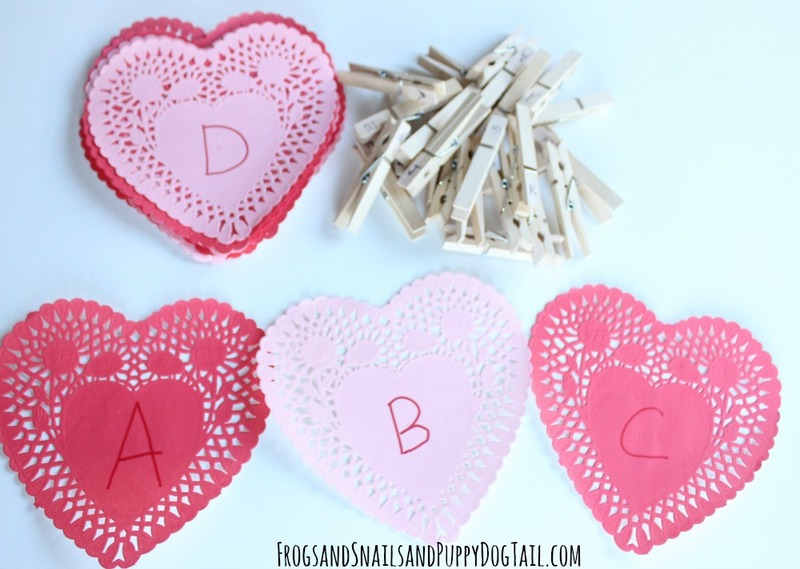 So glad this was so easy for me to put together and that the kids had fun learning and playing with the heart alphabet match up activity. I hope they can have fun with it over and over.